The Empire Adjustable Piano Chair is the ideal choice for those looking for comfort while playing the piano. 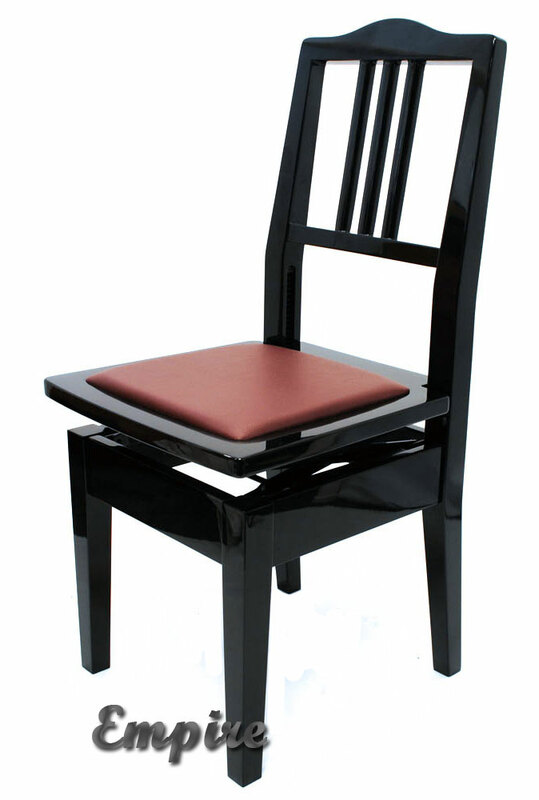 The back support provided by the chair allows for hours of practice, while the sloped black puts the musician in the correct posture position. 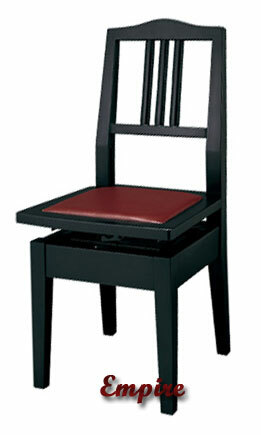 Well built, the chair is constructed of solid hardwood, and is available in satin or high polish ebony. The seat of the piano chair has a padded leatherette top (vinyl). 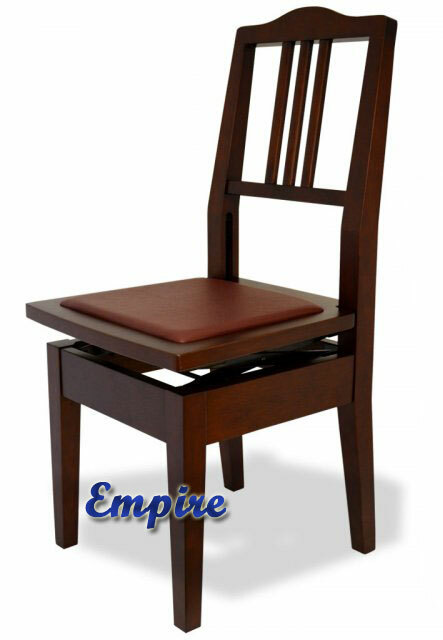 The Piano Chair Adjusts from 17" to 21-1/2"
We are very impressed with the Empire adjustable piano chair. In general, piano chairs are nearly impossible to find on the market these days--the reason being is that they are so time and labor consuming to make, that compared to a standard piano bench, it is not cost-effective for piano bench manufacturers to make them. The other piano chair avaiable is made by Jansen, which is significantly more expansive, selling for $433.35. Furthermore, the Jansen piano chair is not adjustable. 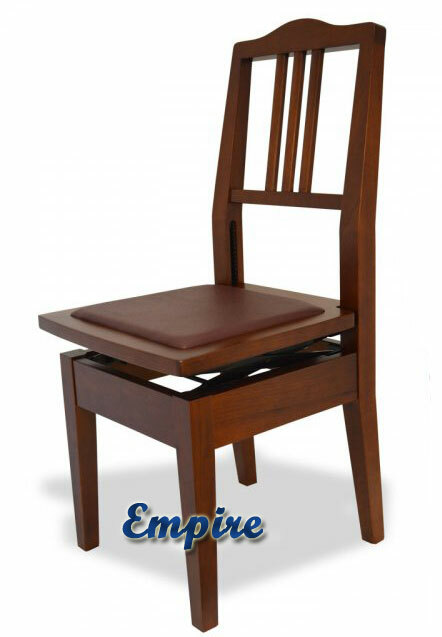 Thus, we highly recommend the Empire adjustable piano chair, and feel it is a great value at this low price.